At Sept. 18th, the five days IBC show which held in RAI Amsterdam ended successfully. IBC show is the most authoritative and large-scale exhibition of radio and television equipment in Netherlands and Europe. 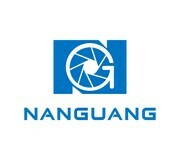 This year, Nanguang stand was also in Hall 12, E10. Now let’s have a review of Nanguang exhibition in IBC 2018. The panorama of Nanguang stand. This year, the focus of our stand is our new products------pavolites tube area. (1) RGB+W full color modes all in one. (2) Professional Bi-color lighting TLCI>95. (3) Comes with special effscts: storm, flash, candle light, color cycle etc. (4) Master-slave control, easily use in studio or on location. IBC is far more than exhibition and conference, it is also the warming occasion to meet with old partners and friends each other. To all our dear partners, thank you for your always keen support! Hope to meet you at IBC next year!